Pollart Miller LLC was founded in 2003 as a firm that exclusively represented employers and insurance carriers, with a focus on workers’ compensation and subrogation. Since that time, the firm has grown to over 60 employees and now represents clients in Arizona, Colorado, Idaho, Nebraska, and Utah. Our practice areas have also expanded to include Appellate Law, Criminal Law, Labor and Employment Law, Family Law, General Insurance Law, Civil Litigation, Subrogation and Recovery, and Workers’ Compensation. Our team of legal professionals are recipients of awards for PWC’s Outstanding Respondent Attorney, AVVO’s Top 10 Attorney, 10 Best from the American Institute of Legal Counsel, 10 Best from the American Institute of Family Law Attorneys and are Lead Counsel Verified by Thomson Reuters. Law Week Colorado also ranks Pollart Miller LLC at number 30 in their list of the biggest Colorado Law Firms. At Pollart Miller LLC, our goal is simple: We strive to be the legal service provider and partner of choice for litigation. We accomplish this by providing superb client service, aggressive representation and sound advice to achieve our clients’ business and litigation goals. With the experience and resources of an established firm, we are proud to also provide clients with personal attention, responsive service and cost-effective representation. 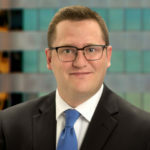 We are pleased to feature Tucker Allen in this month’s Attorney Spotlight. With decades of experience handling a range of workers’ compensation cases, we are skilled at helping clients prevent claims and at aggressively defending claims when they do arise. Employer-employee relationships are governed by a series of complex state and federal laws. Our attorneys are highly adept at preserving our clients’ interests in employment law matters. Whether in state or federal court, our attorneys have the expertise to aggressively defend clients (including insurers and self-insured employers) in first- & third-party claims and frequently provide coverage opinions. Family legal disputes can be emotionally and financially stressful. We know how to help our clients achieve favorable and efficient resolutions in a wide array of legal disputes. Effectively fighting misdemeanor or felony criminal charges is key to minimizing the chances of conviction. We know how to assert the strongest defense in any setting. Litigating a case at the appellate court level requires excellence in both written briefing and oral argument. It requires the experience & skills of an attorney at Pollart Miller LLC.